Consultants and beneficiaries of the Kabul Managed Aquifer Recharge Project (KMARP) recently presented at two international conferences in South Korea and the Philippines. They highlighted how the project, funded by the Asian Development Bank and managed by Landell Mills, is addressing declining groundwater levels in Kabul. Two of Landell Mills’ consultants presented at the congress which was made up of nine technical sessions related to the theme: Groundwater and Life: Science and Technology into Action. Additionally, the project funded four Afghan Government officials to attend and learn about groundwater management topics. Hugh Klein’s presentation – Managed Aquifer Recharge and Aquifer Storage and Recovery in Kabul, Afghanistan – gave an overview of the declining groundwater levels in Kabul and how the project will pilot Managed Aquifer Recharge technology to address the issues. Managed Aquifer Recharge is the intentional recharge of water to aquifers (underground layers of water-bearing permeable rock) under controlled conditions. Boris Matti’s presentation – Evaluating Managed Aquifer Recharge and Aquifer Storage and Recovery in Kabul, Afghanistan, Using Regional and Site-Specific Models – gave an introduction to the three-dimensional hydrogeological modelling of both the whole of Kabul basin and the project Managed Aquifer Recharge sites. With the participation of groundwater scientists, engineers, academics, policy makers, and industry members, the congress is one of the largest and most important conferences for groundwater specialists. One of KMARP’s government beneficiaries, Engineer Anayatullah Popalzai, a Hydrogeologist from the Ministry of Energy and Water in Afghanistan, received funding from the project to present at the Asia Water Forum. He also learnt about relevant water management topics and Asian Development Bank’s (ADB) interventions. Anayatullah Popalzai’s presentation – Managed Aquifer Recharge and Aquifer Storage and Recovery in Kabul, Afghanistan – discussed the problems surrounding groundwater availability in Kabul and how ADB funding is helping the government address the issues through pilot Managed Aquifer Recharge technology. The Asia Water Forum 2018 was held at the Asian Development Bank Headquarters in Manila and focussed on the theme of Information, Innovation, and Technology. It provided a platform for sharing knowledge and experience on water information, innovation, and technology. 800 delegates attended the event, including government, donor, multi-national bank, NGO and private sector participants. We recently welcomed two Junior Project Executives to support Landell Mills’ work in Africa, the Caribbean and Latin America. Elisabetta D’Amico has a BA in Politics, Philosophy and Economics from LUISS University in Rome and an MSc in Development Economics and Policy from the University of Manchester. Prior to joining Landell Mills Elisabetta volunteered for AFS International Programs in Italy, and as an English teacher in China for over a year. Elisabetta was also a Speaker at the TEDxLUISS Conference in 2016. The panel brought together representatives from the Government of the Republic of Sudan, the international donor and diplomatic community, national and international NGOs, as well as fifty Sudanese young people from various disciplines and with different backgrounds to identify the key issues and discuss policy solutions. The speakers at the event included H.E. Jean Michel Dumond, Head of Delegation for the European Union; Dr. Hana Hamdalla, Director of the Directorate for Climate Change, Ministry of Environment Natural Resources and Physical Development (MENRPD); Andrew Billingsley, Landell Mills Team Leader, and Dr. Mey Ahmed from the United Nations Environment Programme. Presentations were also given by young people involved in the sector. This session demonstrated practical ways for young people to engage in positive action to address climate change and to encourage creative solutions to a range of pressing climate related issues. Khalid Ali from Impact Hub, for example, noted that youth represent more than 60% of the Sudanese population and that climate change is going to affect them the most. He also explained that the local context is complicated and required a range of innovative solutions, and that Sudan has a decent telecom infrastructure, which he thinks is a great opportunity to reach a wide range of stakeholders, especially in remote areas. On the topic of education, social behaviour change and communication – engaging youth to address climate change, Basil Ahmed from the Arab Youth Climate Movement highlighted key methodologies for the communication of messages and the techniques for engaging youth, children and communities in climate change activities. On the theme of enterprise and the green economy – opportunities for youth in the context of climate change, Amro Khalafalla, co-founder and Head of the Founding Committee of the Sudanese Solar Energy Society, discussed economic development opportunities for youth in the context of climate change. He also addressed the background to the green economy and environmental entrepreneurship, and, critically, the various possible entry points for youth, especially in the energy sector. Finally, Lujein Mohamed talked about her experiences in running a recycling project that won her a national award for her efforts. In the afternoon, a discussion session was held in which participants were divided into two groups in order to discuss the role of technology and the importance of policy in addressing climate change. Awareness events with the private sector that focus on how they can adapt their activities to mitigate and adapt for climate change and what support they can offer to young people in tackling common challenges. An annual event that brings together software developers, inventors and engineers to showcase technologies to address climate change. Bi-annual events with inspirational Sudanese speakers. Engagement with diplomatic cultural centres such as the British Council and French and Italian organisations to encourage the spread of climate change related messages through their events. A training programme for CSOs and journalists on Social Behaviour Change Communication and climate change focused project fundraising. This year’s World Clean Up Day, on the 15th September, included several successful clean-up activities in Zambia, which Landell Mills helped to manage in cooperation with our partner, Ku-Atenga Media. Events were organised in Lusaka, Ndola, Choma and Livingstone, whilst a number of smaller activities were staged in other areas of the country. The annual event, which takes place across 158 countries, is organised by the Let’s Do It! Foundation and aims to increase awareness of the importance of waste management and the need to recycle. 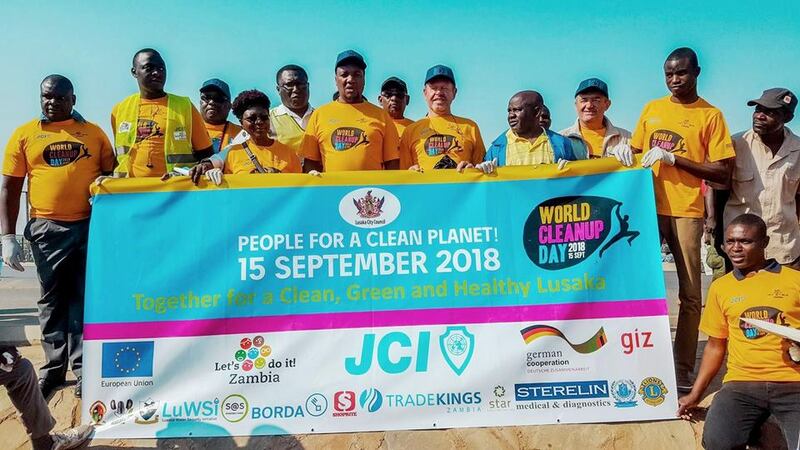 In Zambia’s capital city, activities took place across three locations, under the ‘Keep Lusaka Clean’ campaign and more than 1,000 members of the public took part. The clean-up exercises were supported by the EU Delegation to Zambia, Lusaka City Council and recycling organisations Trashback and Manja Pamodzi, as well as various other local partners. Attendees brought along their own cleaning equipment including wheel barrows, brooms and rakes. All participants were given gloves, whilst the EU Delegation provided branded t-shirts. An estimated 140 tonnes of waste was collected across the sites in Lusaka alone. Trash Back, Lusaka City Council and Manja Pamodzi then provided trucks to collect all of the waste. The largest of the gatherings was attended by the Head of the EU Delegation to Zambia and included a demonstration on effective waste management and how to make a compost heap by Trashback. The events received coverage across four radio stations, including an interview with the Ambassador to the EU Delegation, three Zambian TV channels and a national newspaper. 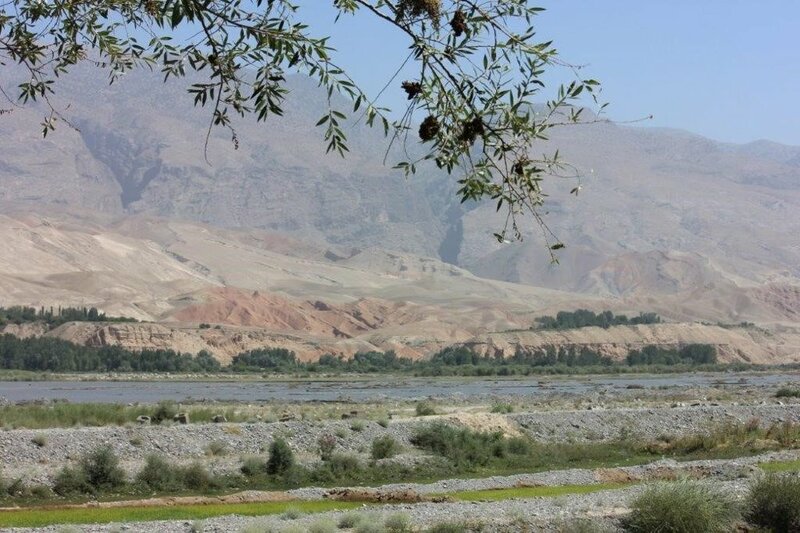 Landell Mills has developed a methodology to assess the status of vegetation within individual canal command areas of the Panj-Amu River Basin (P-ARB) in Afghanistan and to compare this with other irrigation areas in the basin. The report explores the use of Moderate Resolution Imaging Spectroradiometer (MODIS) 250m resolution Normalized Difference Vegetation Index (NDVI) to record vegetation levels in mid-August. The MODIS NDVI is effective in independently verifying reported increases in irrigated areas and improved water allocation within command areas, and could be used as a tool to prioritize investments in irrigation areas (i.e. for irrigation schemes with low NVDI which could be increased with investment). It is freely available (https://earthexplorer.usgs.gov). The average NDVI index for the whole of the P-ARB was compared with the annual Snow Water Equivalent (SWE) calculated by the Ministry of Energy and Water (MEW) Water Resources Department. 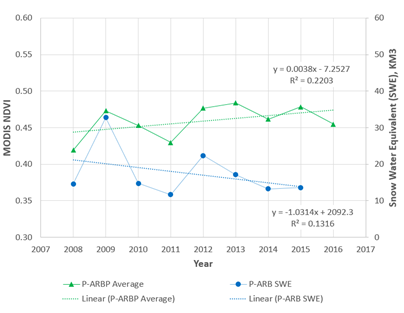 The Mann-Kendall statistical analysis indicates that the P-ARB SWE was stable between 2008 and 2015 with a confidence level of 73%, while the NDVI is probably increasing with a confidence level of 95%. This supports the hypothesis that crop productivity has improved over the basin, because of better water management within the irrigation areas, and thus supports the P-ARBP final report conclusions, developed by Landell Mills, that EU investment has had a beneficial impact on cropping intensity. The methodology was developed as part of the EU-funded Panj-Amu River Basin Programme (P-ARBP), which was implemented from 2009-2017. Landell Mills is a consortium leader for the multiple framework contract for services related to evaluation and impact assessment of the European Commission’s humanitarian aid and civil protection activities for the Directorate-General for European Civil Protection and Humanitarian Aid Operations (DG ECHO). Our highly competent consortium is made up of: Universalia (Canada), International Alert (UK), Femconsult (the Netherlands) and the American Institutes for Research (USA). The evaluations and impact assessments that come through this framework are complex in nature and cover a geographic region, country, or a horizontal thematic area, such as health projects, of DG ECHO’s activities. Our consortium is currently implementing two evaluations, the first is the evaluation of DG ECHO-funded interventions relating to transport and logistics from 2013 to 2017. It includes interventions being delivered directly by DG ECHO itself, or via its humanitarian partners, participating states or by other organisations who are receiving support from DG ECHO. These include organisations such as the United Nations Humanitarian Air Service (UNHAS), Mission Aviation Fellowship (MAF), the International Federation of Red Cross and Red Crescent Societies (IFRC). Our partner Universalia is leading the second evaluation; the independent evaluation of the European Union’s humanitarian response to the refugee crisis in Turkey during the period of 2016 to 2017. This evaluation will cover all humanitarian aid actions under the EU Facility for Refugees in Turkey, including those that are ongoing. The results will be used to inform future programming and funding. The evaluation is set to be completed in March 2019 when the final report will become publically available. Executive members from the Wangchhu Basin Committee in Bhutan, and the High Powered Committee for Integrated Development of the Bagmati Civilization and the Water and Energy Commission Secretariat in Nepal, recently took part in a study tour to Japan. They learnt about sustainable management of water resources in river basins from Japanese projects. Landell Mills arranged for the executives to visit a functional river basin organisation and find out about the required governance and institutional structures for integrated water resources management, as well as planning, implementation and monitoring mechanisms. Together they travelled to Osaka from Tokyo visiting offices en route to learn from river basin organisations, basin water plants and integrated dam management offices. Prior to the study tour, the executives lacked experience in river basin management so the trip was an excellent opportunity for them to enhance their knowledge and transfer it to river basins in Nepal and Bhutan. 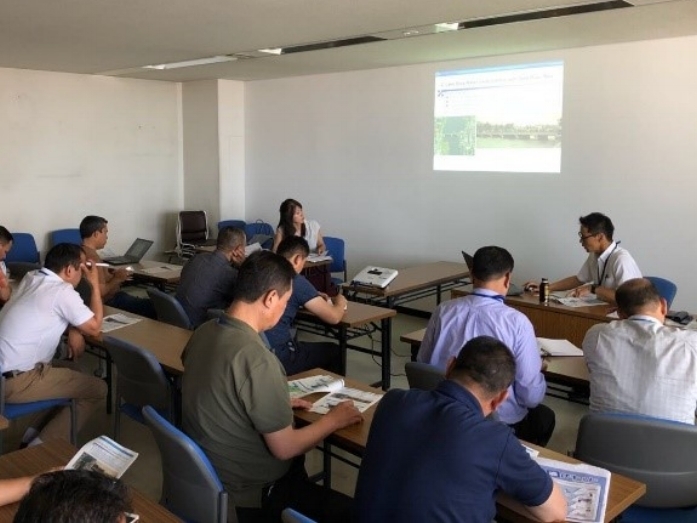 The tour forms part of the Strengthening Integrated Water Resources Management in Mountainous River Basins Technical Assistance project administered by ADB, funded by the Japanese Fund for Poverty Reduction and managed by Landell Mills. It is providing technical assistance to river basin organisations in Afghanistan, Nepal and Bhutan. By strengthening water resources management it will help each of the three countries to cope with expected changes in water availability due to climate change and increases in water demand to support economic and population growth. The first River Basin Dialogue under The Zarafshon Integrated Basin Project recently took place at the Dilkusho Tea House in Panjaken Town in Tajikistan. It was organised by the Zarafshon Basin Work Group and Landell Mills, who is providing technical assistance to the project. Through River Basin Dialogues, the Work Group is able to collect feedback and organise discussions among various stakeholders to incorporate into a new River Basin Plan. The plan is being developed by the Zarafshon Basin Work Group and the Ministry of Energy and Water Resources (MoEWR) to guide the development and management of water resources in the Zarafshon Basin. 130 stakeholders attended the inaugural dialogue including the First Deputy of MoEWR, the Head of Operations and the Rural Development Task Manager from the EU Delegation to Tajikistan, and representatives from the Academy of Science of Tajikistan. As well as helping to develop the River Basin Plan, the first River Basin Dialogue also promoted the work of the European Union’s Rural Development Programme, which focusses on integrated water resources management in river basins. During the event, several presentations were given on water sector reforms and plans for the development of the Zarafshon Basin. Other Integrated Water Resource Management programmes working in river basins in Tajikistan also presented and highlighted their progress. Lastly, a working session gave participants the chance to discuss major water related issues in the basin to discuss feedback from questionnaires distributed before the meeting. The dialogue was featured on regional TV as well as in the national media. The Zarafshon Basin Work Group is a group of professionals who are currently being trained under the Zarafshon Integrated Sub Basin Project to become a River Basin Agency. The project is funded by the European Union and is contributing the sustainable management and protection of water and land resources in the country. Landell Mills is pleased to announce it is a lead partner on the EU Framework Contract Services for the Implementation of External Aid for Lot 1 Sustainable Management of Natural Resources and Resilience (FWC SIEA Lot 1). We are leading a consortium of nine partners including Adam Smith International, Danish Forestry Extension, Danish Management, Ecologic Institute, Frankfurt School, Global Alliance for Improved Nutrition, Linpico, Natural Resources Institute (University of Greenwich), and Teagasc (the Agriculture and Food Development Authority). Landell Mills has been managing EU Framework Contracts for over 10 years, implementing more than 150 short-term assignments in excess of 50 countries. We hosted our first consortium meeting in June in the Pump Rooms in the city of Bath. The meeting highlighted the consortium’s abilities to supply the best quality services at very short notice through extensive framework experience and excellent networks and systems which have been established and proven over time. Our consortium looks forward to successfully delivering a wide variety of high quality projects under FWC SIEA Lot 1. Landell Mills has recently won a four-year GIZ contract funded by the German Federal Ministry for Economic Cooperation and Development. We are implementing Component 1: Strengthening the Planning and Management Capacity of the River Basin Agencies, which forms part of the GIZ Water Supply Improvement Programme (WSIP) Afghanistan. The Afghan population face a lack of accessible safe drinking water, sanitation and sewerage infrastructure, which causes pollution and leads to water-borne diseases. Under this contract, Landell Mills will be helping River Basin Agencies monitor and plan water investments and manage water resources in a coordinated manner while addressing the needs of different water users. River Basin Agencies are decentralised entities who develop a river basin management strategy and a water allocation or distribution plan. They also make the rules about the allocation of the water and regulate the use of water within the basin. WSIP has been providing assistance to the Afghan water sector since 2008 to improve the water supply, sanitation and sustainable protection of water resources, particularly for the urban poor. In addition, the project seeks to balance the need to provide drinking water with water requirements for industry, hydroelectricity and agriculture. Landell Mills organised a recent training and water features tour in Dushanbe, Tajikistan. The team from the Kabul Managed Aquifer Recharge Project and 15 government staff from the Afghanistan Ministry of Energy and Water and other government agencies attended. The training enhanced participants’ knowledge of groundwater as an important part of water supply. The training was delivered from 22nd to 31st July by three members of staff from Schlumberger who are specialists in delivering world-leading technology in water services. Participants learned about groundwater studies, surveys and management. In addition, the firm shared its expertise in using groundwater telemetry equipment which measures water levels by collecting data that can then be visualised on a computer. The water features tour took participants to the Nurek hydro power plant dam, which is the second tallest dam in the world, and included studies of hydrogeology, field exercises, software analysis and equipment configuration. The project team and government staff will apply the knowledge and resources from the training to the Kabul Managed Aquifer Recharge Project which is investigating various methods to improve groundwater levels and quality in Kabul, one of the most water-stressed cities in the world. Landell Mills is pleased to announce our participation on the contract ‘Preparatory Analysis and Investment Packaging of Government of Ghana’s Industrial Development Strategy’, behind our lead partner IMC Worldwide. The assignment’s objective is to assist the Government of Ghana in identifying anchor investment sectors and support transformation, support required skills development of these initiatives to maximise job creation as well as ensure domestic industry linkages and involvement with the initiatives. Landell Mills is responsible for providing insights into the Industrial Starch Sector. This builds on our successes and lessons learned from the DFID-funded project ‘Working in Partnership to Promote Agricultural Technology Transfer (AgriTT)’. Landell Mills is pleased to announce our implementation of the DFID-funded contract ‘Project Completion Review of the Assisting Institutions and Markets for Resilience Programme’, behind our lead partner IMC Worldwide. The assignment’s objective is to produce a Project Completion Report that analyses the overall results achieved during the life of the programme against intended outcomes and impact, capture and report on the key lessons from the programme, and identify and recommend priorities and options for how Tanzania can build better climate change resilience. Landell Mills recently delivered a Training of Trainers workshop on how to establish, register and successfully operate Producers Associations. The training marks a landmark stage in the Sudan Food Security Programme – Rural Smallholders Component (SFSP-RSC) as the point at which farmers will begin to take over control from the programme’s NGO implementing partners in each state. The NGOs include Zenab and ZOA in Gedaref; WHH in Kassala; World Vision and Charity Organisation for Rehabilitation & Development (CORD) in Blue Nile; and SOS Sahel in Red Sea. Landell Mills is providing Technical Assistance to SFSP-RSC, which is a four-year programme funded by the EU. We are currently entering the final six months of the programme. The workshop was a week-long retreat from 14th-20th April 2018 in the city of Wad Medani, which is on the west bank of the Blue Nile and 85 miles southeast of Khartoum. 31 prospective trainers attended from government, and international and national NGOs in Sudan. It was inaugurated by the Programme Manager of the European Union. The workshop equipped the trainers with knowledge and skills to pass on to the Producers Associations in their respective states. It also helped to strengthen the Associations’ capacity to operate effectively and efficiently. Producers Associations are local, officially-registered groups of farmers or fishermen with a common interest in working together to improve production and marketing of their produce. The trainers gained knowledge and skills in how to use the specially-developed Producers Associations Establishment and Operations Manual towards setting up and strengthening Producers Associations in their respective states – and how to train others to do the same. As a result of the workshop and the manual, a ‘training cascade’ has been put in place which will support the sustainability of the Producers Associations beyond the end of the programme. It will also ensure that the technical practices and market-based approaches introduced to them during the programme are continued. Producers Associations cluster the resources of small-scale farmers and fisheries into groups to achieve the necessary economics of scale to engage with suppliers, sell their products in larger quantities and gain access to better marketing and credit opportunities. By assisting small-scale farmers and fishermen with their legal registration under the 2011 Farmers and Livestock Producers’ Associations Act, the SFSP-RSC has also made the Associations more attractive to the private sector. The Training of Trainers workshop is a key step to strengthening the capacity of existing and future Producers Associations. 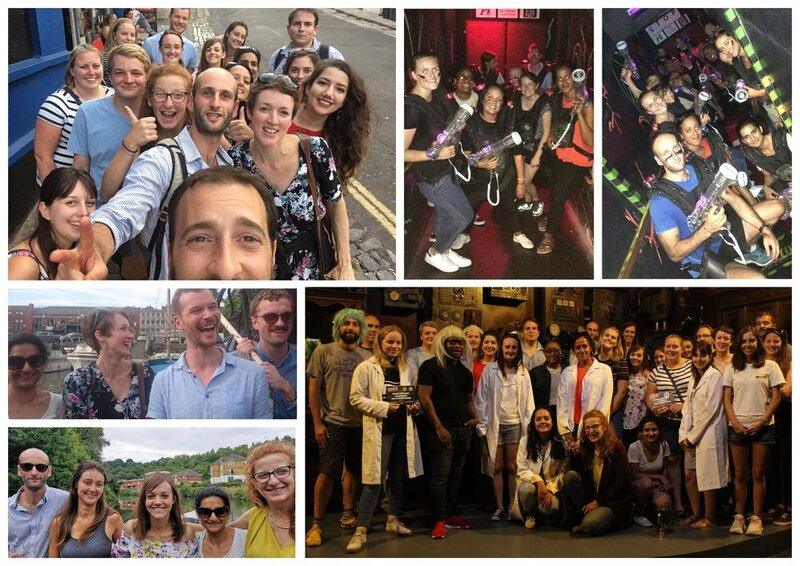 This year our staff enjoyed an action-packed day away from the office in Bristol on 3rd August. The day began at Laser Fusion where we competed in ‘all against all’ and team battles of laser tag. We then made our way to a unique and challenging escape game experience, ‘Locked in a Room’. We worked in teams to solve puzzles related to time travel and unlock the key to escape. Next, we saw Bristol from the water on a river cruise. Kobe Karaoke was the final destination of the day for those wanting to practice their singing skills. As part of the Kabul Managed Aquifer Recharge Project (KMARP) funded by the Asian Development Bank, Landell Mills has commenced the drilling of a new monitoring network across the city. The drilling of 20 piezometer wells, which will monitor the groundwater levels, commenced on 6th July and is expected to be completed within four months. Landell Mills’ consultants are supervising the drilling contractors, Diamond Geo Engineering, and overseeing the installation of monitoring equipment in the wells. It is expected that a further 20 wells will be drilled in the near future. Kabul is reliant on groundwater, but it is one of the most water-stressed cities in the world and its residents suffer from a lack of accessible drinking water. Due to issues such as contamination from pit latrines and waste disposal, as well as continued population growth, groundwater levels are stressed and of poor quality. KMARP is investigating the use of Managed Aquifer Recharge (MAR) techniques in order to improve groundwater levels and quality, as well as access to drinking water for Kabul. Managed Aquifer Recharge is the intentional recharge of water to aquifers (underground layers of water-bearing permeable rock) under controlled conditions. Some of the MAR techniques used on the project include a spreading basin and injection wells. The former involves a flat enclosed basin located on a permeable surface overlying an aquifer, then recharge water is placed in the basin area and allowed to infiltrate. Injection wells consist of a tube well that goes deep into the ground and water is pumped down into the aquifer below. The monitoring network will capture the changes in water level in great detail and analyse how MAR sites alter groundwater levels. The results of the project will be used to evaluate the feasibility of MAR in the city. A lab-debate which was organised by Landell Mills as part of the European Development Days in Brussels was a successful and engaging event. ‘African women in the prevention, management and resolution of African conflicts’ took place on Wednesday the 6th of June and more than 80 people attended. The session was moderated by Modi Ntambwe (pictured below), Chair of RVDAGE-SVAV Federation of African Associations of Flanders, and discussions focussed on gender mainstreaming within the peace operations and mediation efforts supported by the African Peace Facility (APF). The APF is the main tool for implementing the Africa-EU Peace and Security Cooperation and has supported more than 14 Peace Support Operations (PSOs) since its creation in 2004. The lab-debate explored the promotion of a gender component in PSOs, such as the Ceasefire and Transitional Security Arrangements Monitoring Mechanism (CTSAMM) in South Sudan and the African Union Mission in Somalia (AMISOM). Speakers included (pictured below, left to right) Sara Formisano, Gender Advisor at CTSAMM; Isabelle Arradon, Director of Research, Leading on Gender, Peace and Security at International Crisis Group; and Stella Maranga, Gender Officer at AMISOM. The event was organised by Landell Mills as part of the ‘EU – Africa actions on peace and security through the African Peace Facility Communication Plan’ contract that we manage on behalf of the European Commission. Find out more about the Lab Debate and the 2018 European Development Days. On May 8-9th 2018 Landell Mills’ experts facilitated a mid-project regional workshop in Kathmandu as part of the Strengthening Integrated Water Resource Management in Mountainous River Basins project. The workshop brought together participants of the three countries involved in the Technical Assistance project administered by ADB, funded by the Japanese Fund for Poverty Reduction and managed by Landell Mills. The participating countries are Afghanistan, Nepal and Bhutan. Attendees included members of the Ministry of Energy and Water and the Panj-Amu River Basin Agency in Afghanistan; the Wangchhu River Basin Committee in Bhutan; the High-Powered Committee for Integrated Development of the Bagmati Civilization and Water and Energy Commission Secretariat in Nepal, as well as ADB Officers from Manila and Kathmandu and a number of supporting consultants from Landell Mills. The two-day workshop enabled participants to report on the project’s outcomes, exchange lessons learned and apply them to the next phase of the project in all three countries. The workshop was very informative and applicable to other ADB projects in the Asia and Pacific Region. A report is currently being produced to promote knowledge sharing. The Strengthening Integrated Water Resource Management in Mountainous River Basins project is providing technical assistance to river basin organisations in each of the three countries. It is strengthening water resources management to cope with expected changes in water availability due to climate change and increases in water demand to support economic and population growth. We are pleased to announce that Landell Mills has been shortlisted for a 2018 South West International Trade Award in the Company of the Year (over £10m) category. The Awards celebrate international trade achievements by companies based in the South West of England. The annual celebration, which will be held at the Mercure Bristol Grand Hotel on June 28th, will also be an opportunity to recognise companies in the South West that are innovating and exploring new markets as the UK embarks on a new global future outside of the EU. We are proud of this achievement which reflects our long history of successfully providing UK services to clients overseas, working in some of the most challenging, yet interesting, markets in the world, including, for example, Afghanistan, Sudan and Tajikistan. This award nomination follows recent successes for Landell Mills at the British Expertise International Awards including winning the 2017 International Collaborative Project and the 2017 and 2018 International Development Project Awards. Find out more about the South West International Trade Awards and shortlists here.